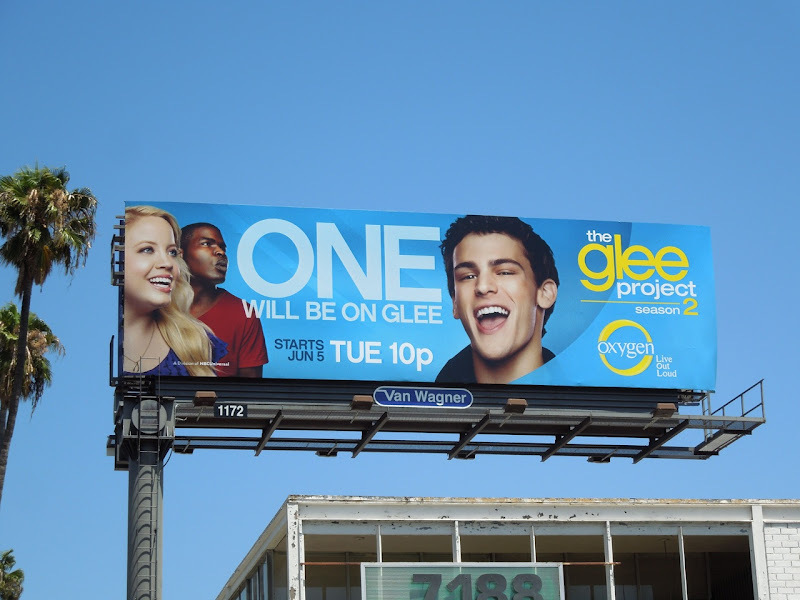 Who out of the fourteen new contenders will be lucky enough to act and sing their way to winning a seven episode arc on Fox's hit series Glee? 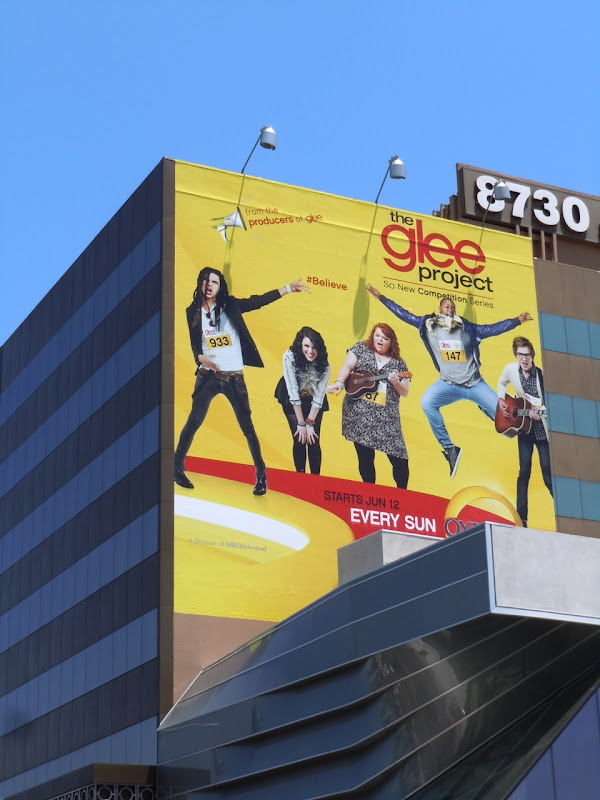 Is there a new Rachel, Kurt or Mercedes waiting in the wings? 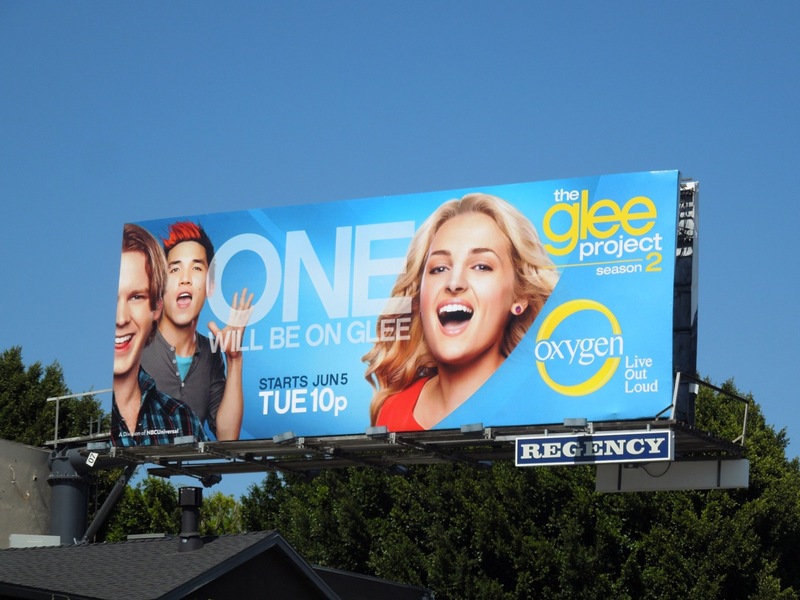 There's no doubt from these vibrant billboards for the second season of The Glee Project that this is a singing competition show for bright young things. These cheerful Oxygen TV billboards really catch your eye along Sunset Boulevard in two locations on May 29 and June 7, 2012 respectively. 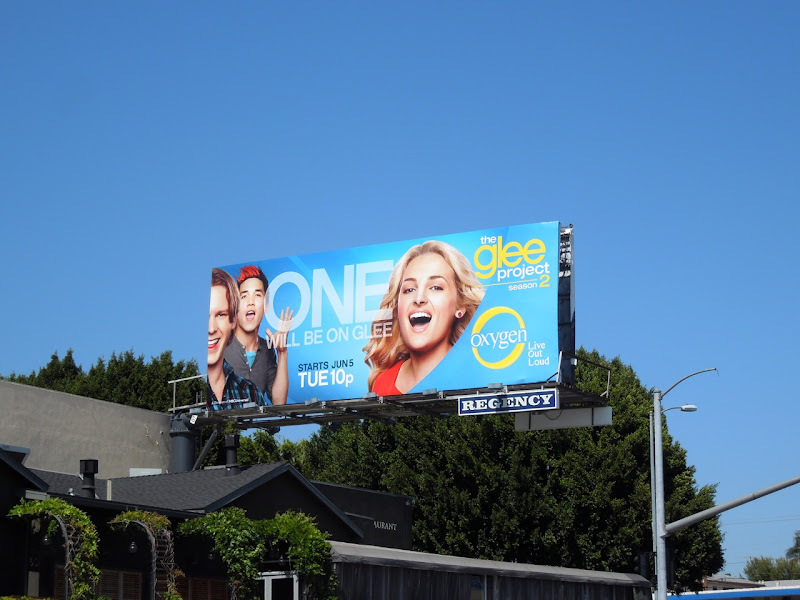 If you are a fan of the musical comedy-drama, you should check out this giant season one Glee billboard and Glee season two slushie billboards. 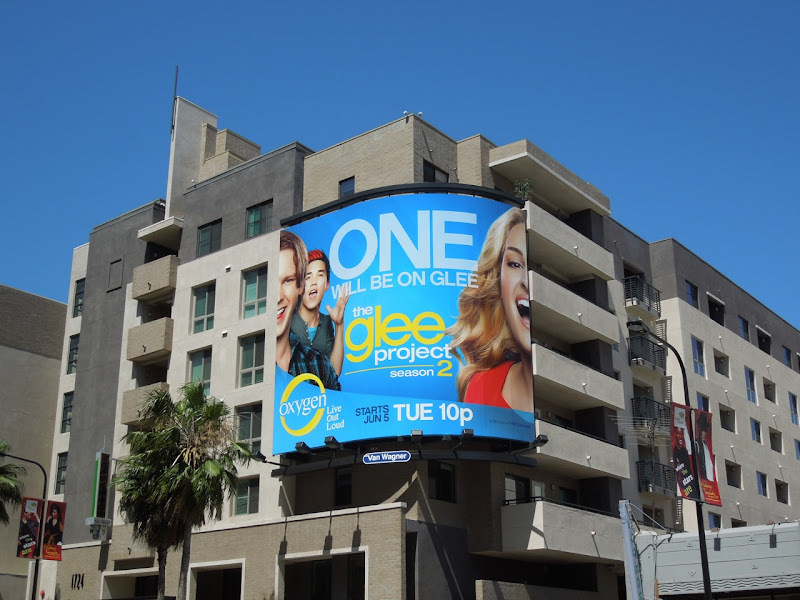 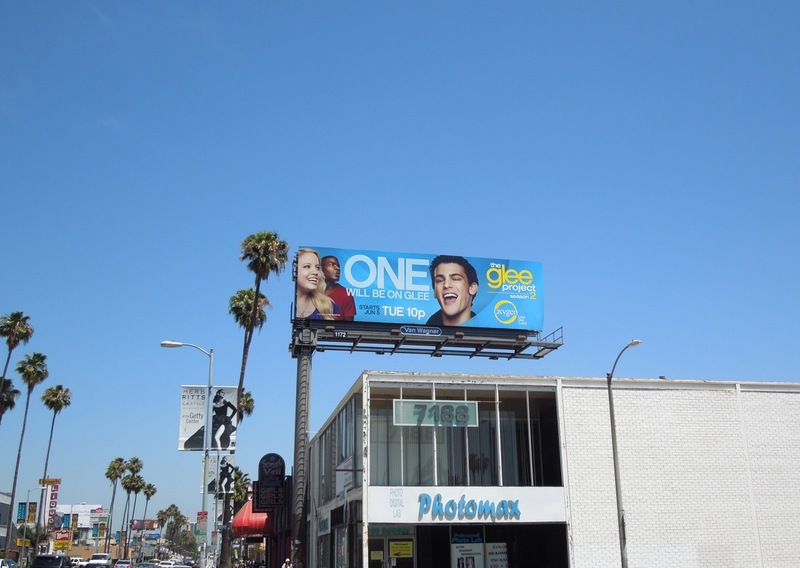 As a special bonus here's the season one billboard for The Glee Project, which shared the spotlight at Sunset Towers with that scene-stealer Paris Hilton on May 19, 2011. 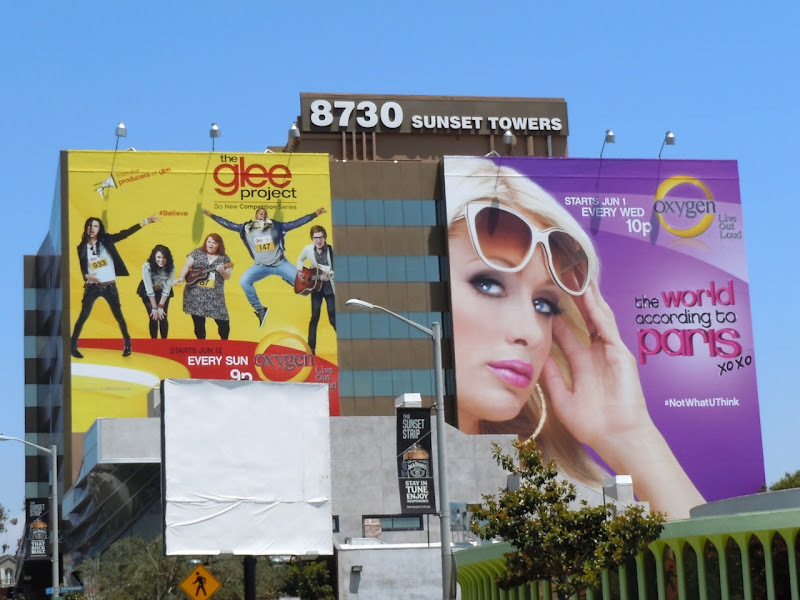 It's another bright creative, which season's billboards do you prefer? 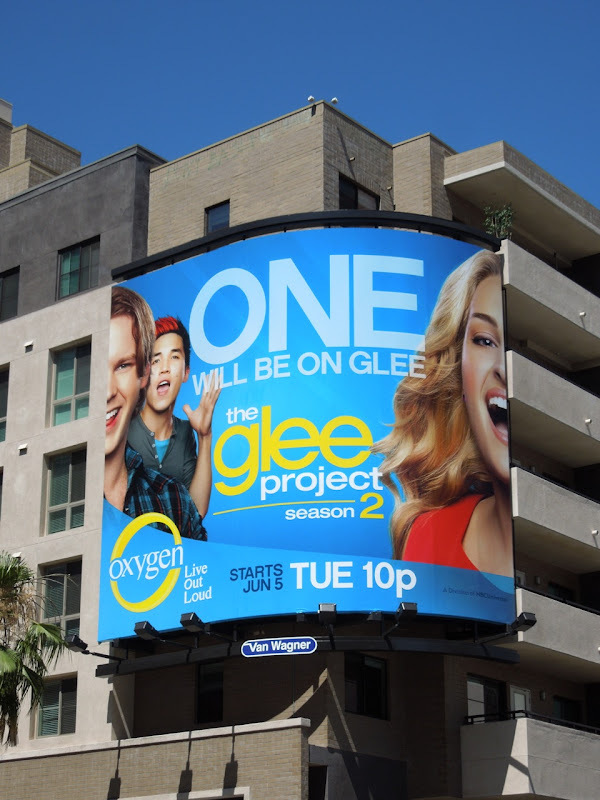 UPDATED: Here's a squarer format of the season two billboard snapped at Hollywood & Highland on June 17, 2012.